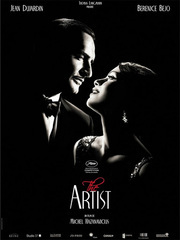 The Nenagh Silent Film Festival (NSFF) has announced a special screening of the Academy Award winner The Artist for the night of Thursday April 19th at 8.30pm. This Premiere viewing for one night only will be screened in the Nenagh Ormond Cinema, while the night’s events will also include a wine and cheese reception in Una Powell’s Public House, curtsy of proprietor James Kelly. There will also be a Black and White Dress Code for the night, while all ticket-holders will be entered into a single raffle for a framed original poster of The Artist. Tickets for one of the social events of the year is just €10 and they can be sourced at Cinnamon Alley, the Hibernian Inn or call either 067-41332 or 086-0602394. Also, all Committee members can be contacted to book tickets. The night’s events will begin at 7.30pm in Una Powell’s, before all ticket-holders present will make their way to the Ormond Cinema nearby, where a one night only screening of The Artist will be screened at 8.30pm sharp. A very different kind of entertaining night is promised and this is a not-to-be-missed occasion, so get your tux out of the mothballs and let your hair down this coming April 19th; you may be surprised at who might turn up to support the NSFF. It should also be noted that there are just 200 tickets available for this event and it’s a case of first come first served and since there is huge public interest in this night’s activities it would be wise to secure your ticket as soon as possible. The silent film The Artist has recently been awarded with three Golden Globes, seven BAFTA’s and five Academy Awards and this success shows how much Silent Film is in vogue. The Nenagh Silent Film Festival initiative is going from strength to strength and it is our goal to organise a separate event each month during the countdown to the inaugural Nenagh Silent Film Festival. More announcements will be made public throughout the year.